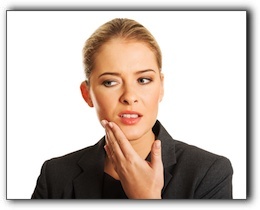 Malocclusion is the dental term for a bad bite: that is, the way your top and bottom teeth come together. At Koch Park Dental in Florissnt, we can correct malocclusion without resorting to unsightly metal braces. Malocclusion can be effectively treated with orthodontics. One of the latest advances in orthodontics are clear braces from Invisalign. They look like an athlete’s mouth guard and can be removed at mealtime and when you brush your teeth. Because they are clear, they are not very noticeable when you’re searing them. Invisalign clear braces are a big step forward in orthodontics. To find out if you are a good candidate for them, call us at Koch Park Dental in Florissant to schedule a consultation. We also provide general and cosmetic dentistry.